Radiating peacefulness and relaxation, Caravelle Villa is ideal for a tranquil holiday with your significant other, friends or family. 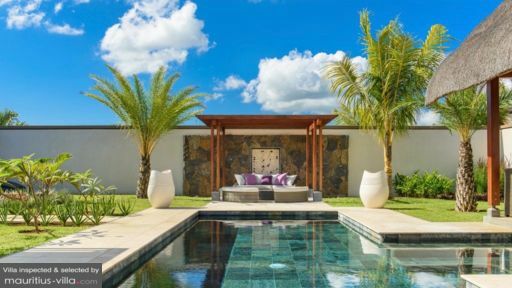 With plenty of green space and a massive swimming pool, this villa has been built to reflect the tranquil atmosphere of five-star resorts, with none of the staff intrusions. Designed to comfortably fit seven guests, this villa also offers an extended range of services to help make your stay even more enjoyable. The complex’s staff also remains at your disposal during the entire duration of your holiday. There’s no doubt about the fact that you will enjoy a restful slumber at Caravelle Villa thanks to the exquisite luxury and comfort of the master bedroom. Fully air-conditioned with a king-sized bed, this bedroom overlooks the pool and garden, giving you splendid views in the early hours of the morning. To ensure that your money and valuables are secure during your holiday, the bedroom also includes a dressing area with a safe. It has an en-suite bathroom that has completely been arranged for a spa-like experience, with marble fittings, a shower, double sink, toilet and a mirror. Towels are provided. Guests at Caravelle Villa will be able to make the most out of the great outdoors thanks to the huge tropical garden that surrounds the complex. Featuring abundant foliage and towering palm trees to provide some shade, the garden is also equipped with sun beds where you can lounge with a cool drink and a good book as you soak in the rays of the tropical sun. In the garden, you will also find an impressively large swimming pool of 3.7m x 7m, which is illuminated by night. Best of all, guests will be able to make the most out of the gazebo located in the garden. Fully equipped with barbecue facilities, the gazebo is ideal for fun nights out with your close ones. 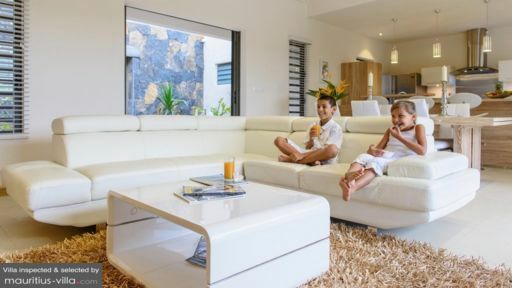 Spacious, airy and oozing of comfort, the villa’s living area comprises of a dining room which can seat eight people as well as a living room with an L-shaped sofa, coffee table, arm chair and flat-screen television. A kitchen has also been set up where you can enjoy informal meals. It should be noted that the kitchen does include a fridge, microwave, gas stove, sink, dishwashing soap and other such amenities and utensils which you will probably use to prepare your meals. Because it can get quite warm in the summer, a large ceiling fan has also been installed in the living room to ensure your comfort. Caravelle Villa boasts a 24/24 concierge service as well as permanent security service to ensure your safety. The concierge can help organize your excursions around the island or answer any query you might have. In addition, guests can benefit from a maid service to take care of the housekeeping, including laundry, cleaning and even the ironing. To ensure that you don’t have to lift a finger, the maid will bring you a complimentary continental breakfast hamper every morning, full of delicacies such as a pastry per person, fruit juice, jams as well as tea and coffee. Guests can choose from a plethora of other A La Carte services during their stay at Caravelle Villa. These include extra mattresses for an extra fee, excursions, maid cooking, In-House Chef, Babysitting, Grocery delivery and the likes. The villa can also arrange for a daily shuttle service to the Beach Club and La Croisette, airport transfer, car rental and the likes. A welcome kit is also offered when you check in. This include items such as toilet paper, trash bags and water, as well as a welcome cocktail, and the likes. 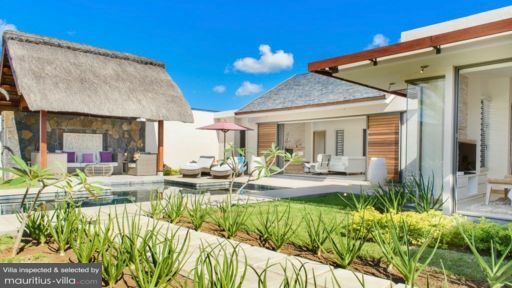 Because the villa is located near some of the best tourist spots in Mauritius, you certainly won’t run out of things to do. In fact, as a guest of Caravelle Villa, you are entitled to a free pass to La Plage, one of the most scenic private beach clubs on the island, where you can bask in the sun all day long. If you want to stock up on groceries, tanning lotion and the likes, head over to the famous La Croisette Mall which is a mere two minutes away from the villa. This mall has everything from two supermarkets, pharmacy, branded perfume store, wine store as well as a variety of shops.